â€˜Hucha de deseos: Â¡Todos somos un barrio, movilÃ­zate!' collected the Peseta coins (former Spanish coin) and banknotes in a public collection site in Plaza Puerta de Moros, La Latina neighbourhood. Along with the Peseta collection, the project asked the neighbourhood and the users of the area what they would like to realise with this public and worthless money in and for La Latina. The project collected and published the wishes expressed during the period of the event on a blog, in the public media and around the neighbourhood. The first phase of the project was realized between 12 November 2009 and 27 February 2010 in the neighbourhood of La Latina. A public multi-media collection site was designed and built by the designer-collective zoohaus in collaboration with the artist. 512 wishes in and for La Latina and approximately 85,000 Pesetas were collected. The project and object created a lively dialogue among neighbours regarding what they would like to change and better in their common public space. 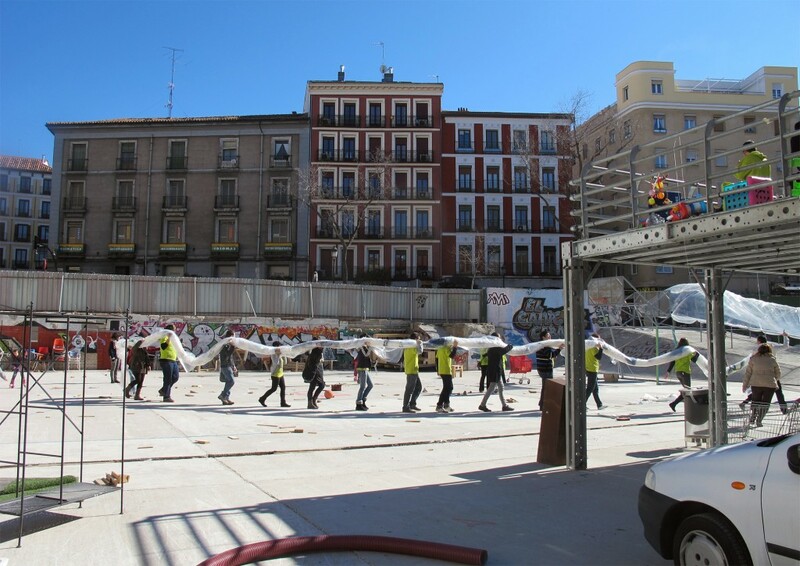 On 27 February, 55 neighbours of La Latina met for a day in El Circulo de Bellas Artes. 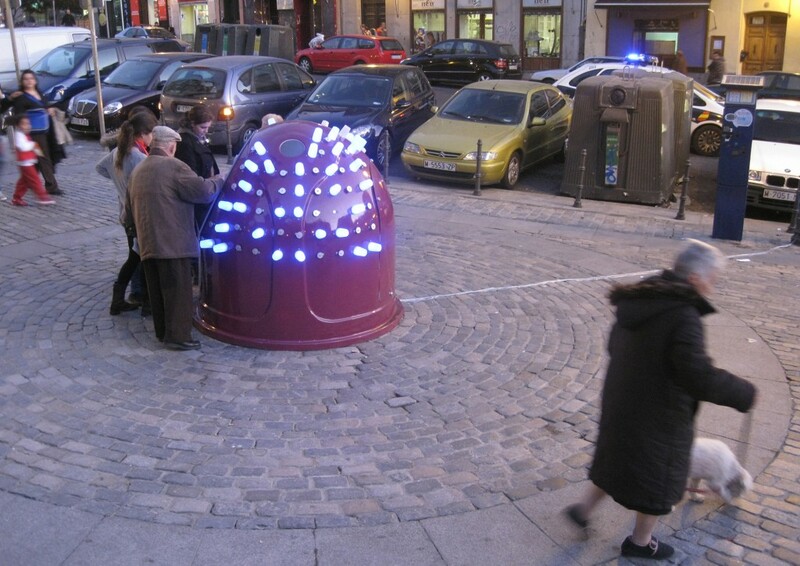 Together they decided in an Open Space Event what would happen with the collected wishes and the Pesetas, worth â‚¬513.70. The neighbourhood accumulated â‚¬ 513.70 and 512 wishes. The Open Space event led to the selection of two proposals. The frequently-voiced wish for more green space in La Latina was realised through planting eight plum trees in Cornisa Park. The AsociaciÃ³n Amigos de la Cornisa-Las Vestillas realised this wish with a collaborative action. The second wish, putting a letterbox in La Latina to exchange ideas and inform each other of events, has been realized at the entrance to El Campo de Cebada. zoohaus realized this wish in form of public black boards. Since Spainâ€™s current precarious situation within the Euro Zone arose and the resulting May uprisings in 2011 occurred, La Latina became one of Madridâ€™s neighbourhoods, which responds to the current economic crisis with weekly neighbourhood assemblies. The locals took ownership of their public space. El Campo de Cebada, the former leisure center site, is a derelict building site that, since 2011 and in negotiation with the city council, is used by the locals for cultural activities, which proved that my methodology addressed a local and timely need and could be sustained into the future without my continued presence proving that my methodology works.